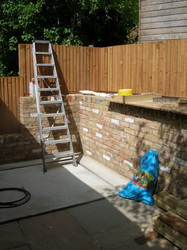 Eight years previously, I had made a garden for these clients. The garden was long, narrow and rising from the house. 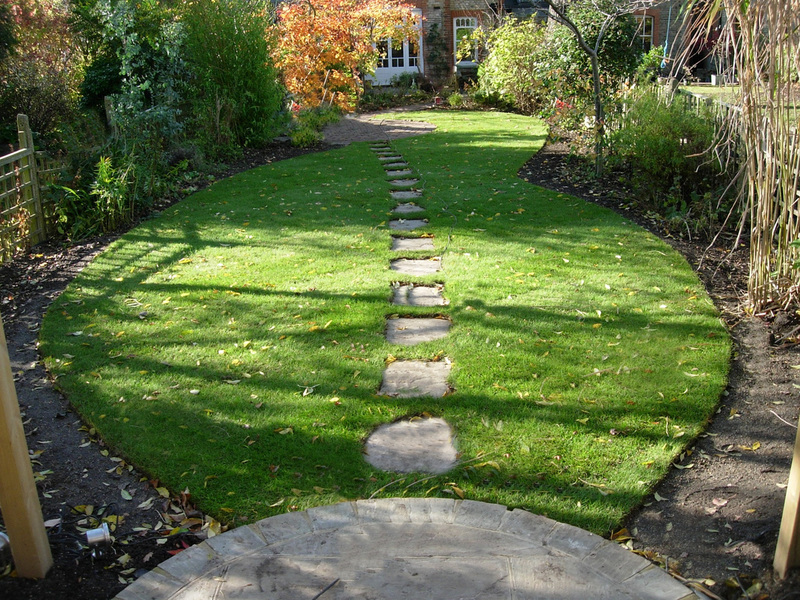 The garden had been successful, with a sunken terrace, lawn and a snaking brick path linking the areas. The end of the garden was a working area, with a shed, and some basic paving, screened behind clumps of arching Bamboo and a huge Gunnera, that had thrived on the moist soil conditions. 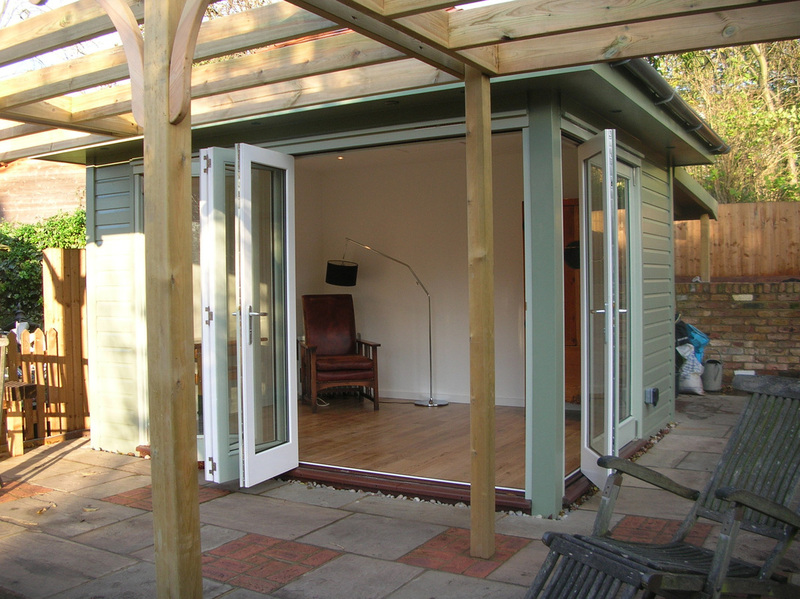 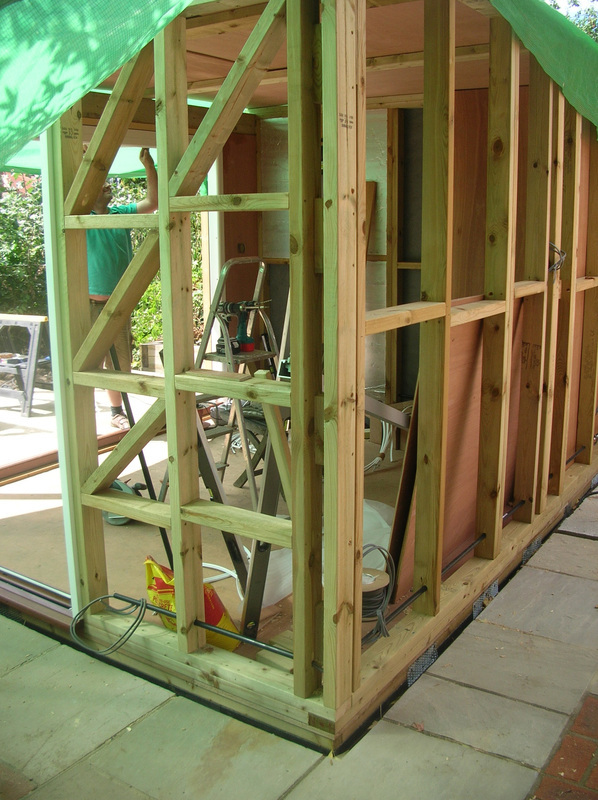 I was called back to reconfigure the end of the garden, and to include a building that would incorporate a Summerhouse, a shed and a covered area for bikes, as well as an outside paved area, and a pergola. 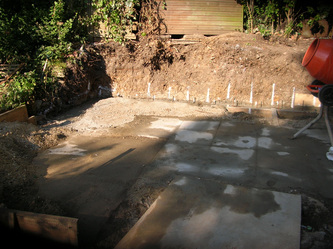 The old shed and paving went, as did a rough 'dry stone' wall, that retained a high soil bank. 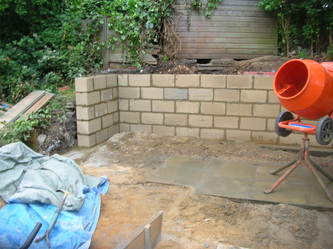 We cut a lot further into the bank, and retained it with a brick faced block wall. The paving was now natural sandstone, and the summerhouse was set lower into the paving, on a concrete pad with a drainage trench all round, so that the threshold was virtually level with the paving. 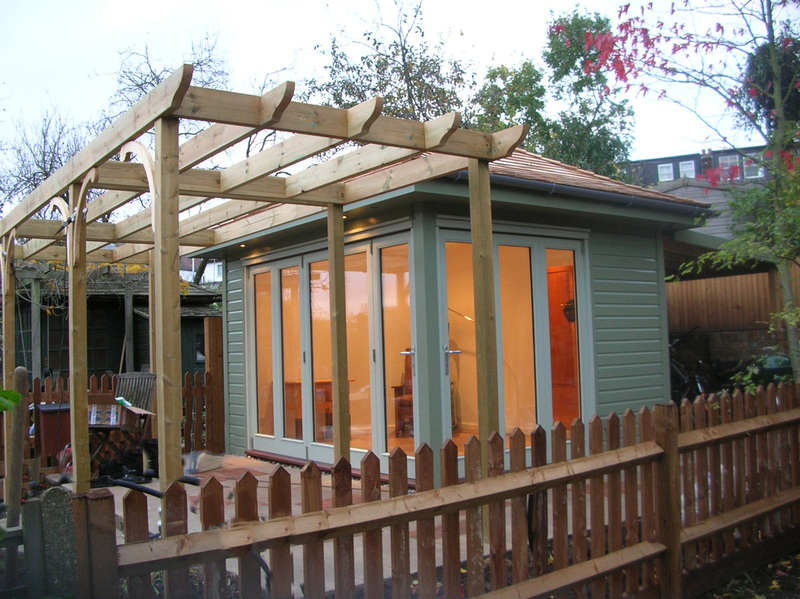 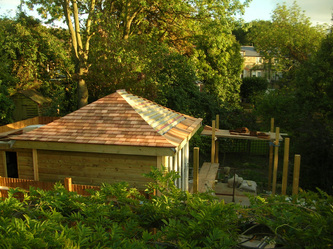 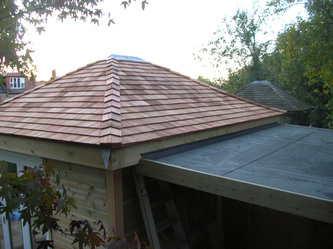 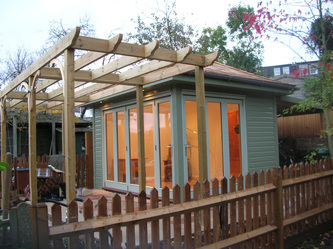 The summerhouse was fully insulated, finished with shiplap cladding, and with a hipped Red Cedar shingle roof. the front and one side of the house had folding doors, so that it opened up fully to the paved area and the garden. 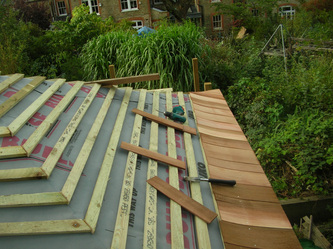 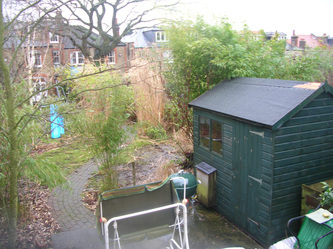 A simple pent roof at the rear covered the adjoining shed and bike storage area. The pergola will be planted with climbers, to help shade the front of the summerhouse from direct sunlight in the afternoon, and to provide a canopy for the front paved area, that could be used for seating and dining. 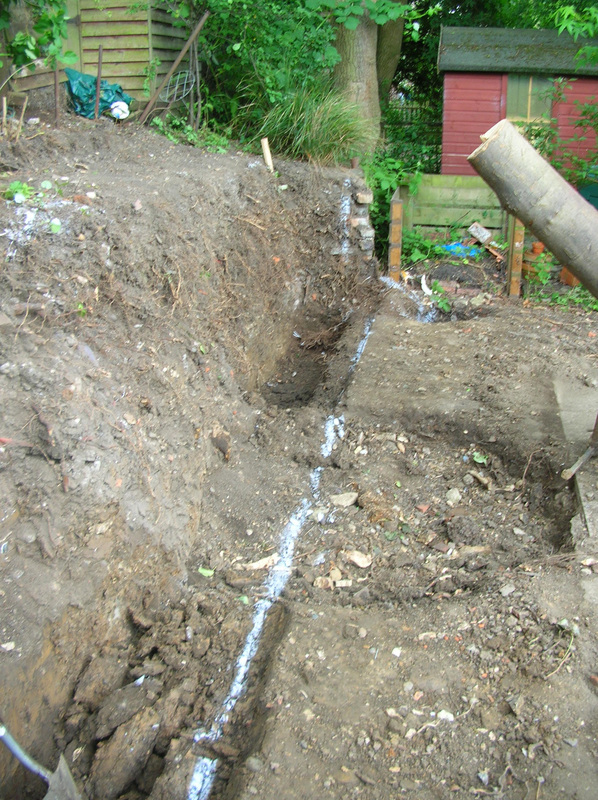 Power and water has been supplied. 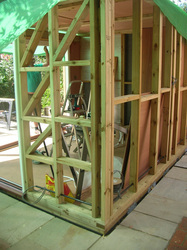 The controller for the watering system is in the shed, and a manifold for the watering zones outside. Lighting for the garden around the buildings uses remote wireless switching. 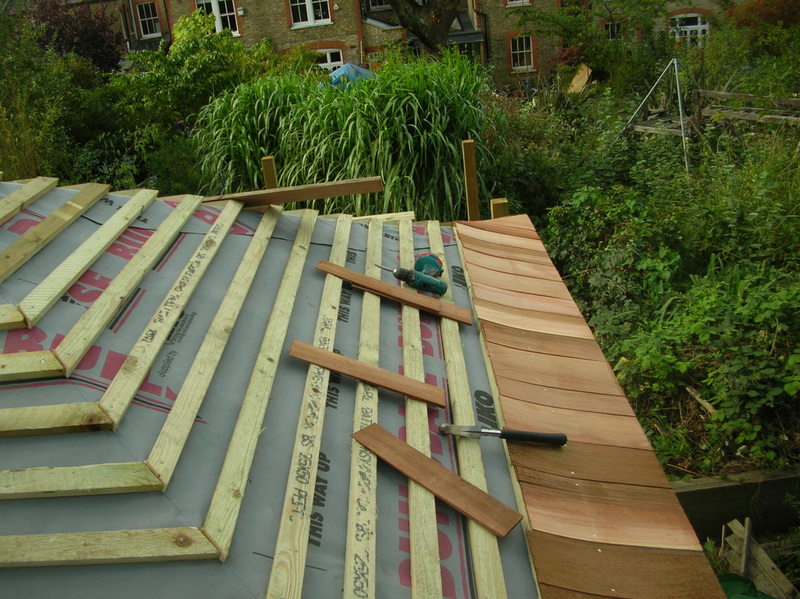 The summer will see this being used a lot, but with the level of insulation, and a small radiator, my clients are already spending time at the end of the garden.